This is the third time that director-producer duo Maddy Trepanier and producer Ben Kybett have worked together – after Dido, Queen of Carthage (4 stars, TCS) and Northanger Abbey (5 stars, Varsity) – and they wanted to tackle something different but still ambitious. The play they arrived at was Wild Honey. It was Kybett’s suggestion, Trepanier tells me, but she fell in love with the play as soon as she read it. ‘It sounds cliché, but what else is there to say? Chekhov’s an unusual dramatist.’ Indeed, the nineteenth-century Russian writer has been credited with reimagining theatre, with his naturalistic and essentialist approach. Yet Trepanier says that one of the things that drew her to this play was that ‘it feels like Chekov, but it doesn’t at the same time.’ That is, there is something about this early, underperformed Chekhovian drama that makes it a unique but nonetheless exciting challenge. One advantage, of course, is that Trepanier feels less pressure to ‘mess with something good’ by over-innovating; this production will be visually and sonorously compelling while remaining true to the text. "Wild Honey is a play that ‘goes to incredibly dark places, but manages to remain light." Wild Honey was translated and adapted from the untitled Russian text by Michael Frayn, and this version preserves the duality of character and inversion of expectations at which Chekhov was so skilled. 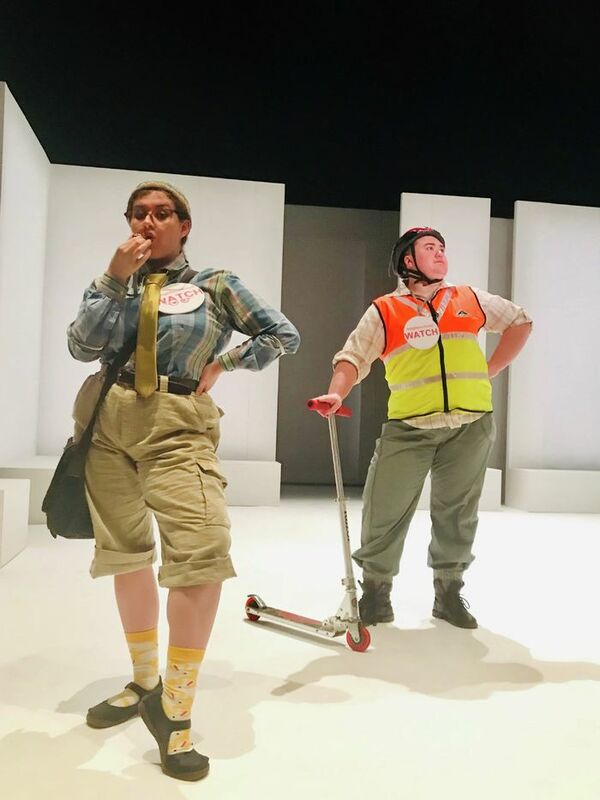 ‘Everybody is as ridiculous as everybody else,’ says Trepanier, noting that, even in the stratified society of the play, each person or group can be mocked and pitied; the audience can laugh at every character even as they empathise with them. There is something inspiring in this, something emotional in the unreality. Escapism is important to the characters, and the play offers it to the audience, too. Trepanier and assistant director Odette Baber Straw agree that Wild Honey is a play that ‘goes to incredibly dark places, but manages to remain light,’ even lively; Straw remarks that ‘the premise doesn’t sound like it should be a fun play, but it really is; it’s really funny.’ This is a comedy of manners as well as a mechanical farce, and it requires a strong ensemble feeling, which the team are working to build. Though the play is an ensemble piece overall, I sit in on one of the smaller rehearsals; the two leads – Platonov (Jesper Eriksson) and Anna Petrovna (Inge-Vera Lipsius) – rehearse the beginning of the second act for the first time. As they block the scene, Eriksson and Lipsius ask questions, looking to understand their characters’ movements and motivations. The rehearsal atmosphere is attentive and comfortable; without prompt, the actors introduce intimate details in their interactions and subtle shifts in their tones, and when they are directed they take time to consider Trepanier’s suggestions. This results in a beautifully nuanced and naturalistic performance, in which tension arises from the cross-purposes at which they find themselves, but is not so overbearing as to fall into unbelievability. The scene is characteristic of Chekov in embodying the line between ridiculousness and normality, between sincerity and hyperbole; Lipsius and Eriksson walk that tightrope with impeccable balance. There is an awkwardness that isn’t quite awkward, and they dwell in it just enough. Yet Trepanier tells me that Wild Honey is not typical Chekhovian high-naturalism, or at least not quite. The play is based on an early text, which was considered unfinished despite running to five hours. The result is fragmentary, so this production is punctuated with musical set-pieces: performative dances with traditional choreography, set to original music inspired by Russian folk songs (composed by Michael Bascom), accompanied by traditional poetry (provided by dramaturge Helena Brann). It was important to Trepanier and her team that the rural Russian folk setting was faithfully represented; she says ‘it takes a lot of time to examine Russian ways of life,’ but she trusts that the dedication to naturalism will be worthwhile. It seems that, as with any theatre, suspension of reality is necessary here, but if you can go into Wild Honey with a willingness to empathise with the characters, you will come out of it feeling refreshed by the momentary escape into their rural Russian summer.